My son, Ben, asked me last week, “How come the bacon cooks better on Grandma’s pan?” I’d just fried up some bacon using a pan handed down from my mother, and the bacon was, as Ben noted, much more consistently cooked. I answered my son’s question: “Value engineering,” I said with private sarcasm. Value engineering is a concept that’s been a concern to me over the years. In engineering-speak, Value, as defined, is the ratio of function to functional cost. Value can therefore be increased either by holding cost constant while increasing function, or by reducing the functional cost without diminishing the function. However, in nearly every encounter I’ve ever had with VE the emphasis has been on reducing cost to meet price targets, with considerable license given to engineers regarding the ‘diminishing function’ decisions. 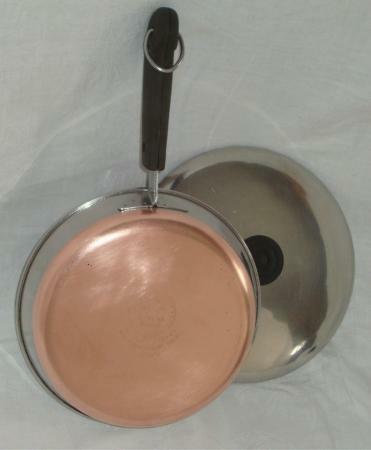 In the case of the copper clad cookware, an innovative product from an earlier era, the decision to reduce the mass of the pan was clearly an attempt to reduce costs. A later VE step for this company moved the manufacture to Indonesia, an action that may have further reduced the functional cost of the product (as opposed to the total cost), but did not unfortunately save the manufacturer from bankruptcy. Since, the customer was now setting the price, the only way to stay profitable was to reduce costs. At this point, I think, the emphasis of VE shifted away from providing value to the customer and towards retaining profits for the provider. “What is value engineering?” Ben pursued. “It’s a process that’s supposed to provide greater value to the customer, but has been mostly relegated to cost cutting,” I answered. I’ve been a party to similar attempts at value engineering in which assumptions regarding value are made by engineers on behalf of the customer: “This or that particular material or dimension or specification doesn’t affect the function of the product.” Perhaps an aluminum part would be substituted for steel, or an operation, like machining, would be out-sourced to reduce labor costs. Or, if the crystal ball prophesied enough market potential for this value-engineered product, we’d buy a new machine to cut production cycle times. Strictly speaking, that method reduced the functional cost for a specific customer order. But the view from the factory floor was that these actions substantially increased part and process variety and product complexity, not a VE consideration. Never did these projects arise from an intent to provide greater value to the customer. They always seemed to be taking something away, subtracting rather than adding value. So I’ve redubbed the process “Valu Ngineering”, kind of a contraction of the original term to connote taking value away from the customer in the name of adding it. Are you value engineering or Valu Ngineering? Share a thought. This entry was posted in Old Lean Dude and tagged bruce hamilton, continuous improvement, cost, lean manufacturing, machining, operational excellence, price, profit, value engineering on March 5, 2013 by GBMP. My first thought from the opening sentence was that Grandma’s pan was an old, well-seasoned cast iron skillet. It’s hard to beat the value and the quality from that! Which is why I keep an eye open at yard sales for one of those, instead of the cost-reduced, value-impaired versions you describe so well. Or I use my very heavy, copper-clad, nickel-steel lined French pans which perform exceedingly well, cost a lot, and will last for 50 or 100 years, providing great meals for us and our children’s families over that time.